The charity was co-founded in 2008 by Dr Claire Guest, who was the Training Director of the first study to train dogs to identify cancer in 2003 and published in the BMJ in 2004. 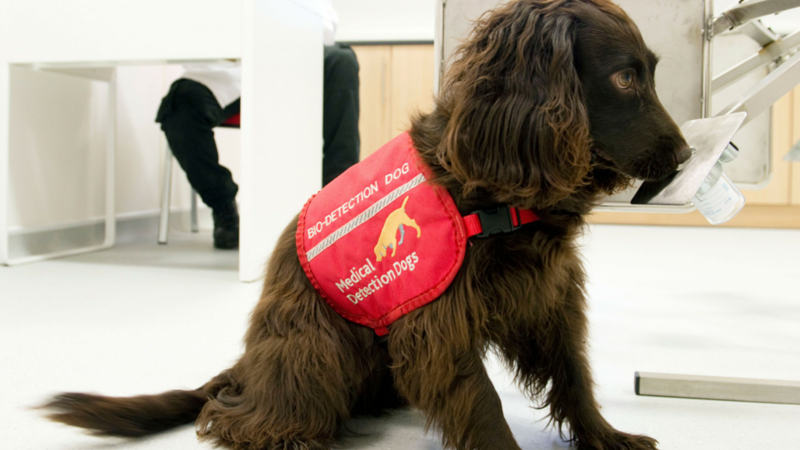 Working in partnership with researchers, NHS Trusts and Universities the charity train specialist dogs to detect the odour of human diseases. 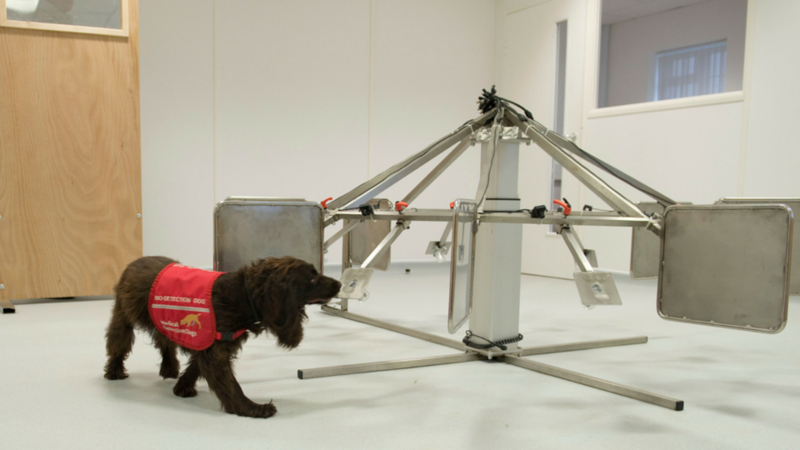 Cancer and Bio Detection Dogs are trained to detect the minute odour traces created by diseases. These tiny volatiles can be detected by dogs, at approximately one part per trillion, which is the equivalent of one teaspoon of sugar in two Olympic sized swimming pools! This offers the potential to detect illnesses much earlier, pioneering the way to speeding up the diagnosis and potentially saving thousands of lives. Cancer and Bio Detection Dogs are being trained to detect many types of cancers, including Prostate, the most common cancer in men. Early diagnosis is the most effective way of tackling the disease and current tests by the charity are demonstrating the dogs can detect the urological cancer volatile organic compounds earlier and with greater accuracy. Medical Detection Dogs are also carrying out the first ever proof of principle study that breast cancer can be detected on a breath sample. The research doesn’t stop there, the team are also exploring the possibilities that dogs can detect other diseases such as Lung cancer, Parkinson’s and Malaria. 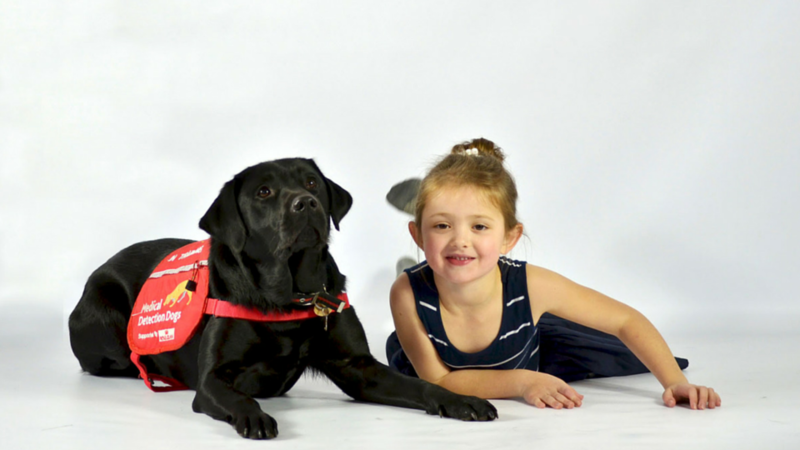 Medical Alert Assistance Dogs are trained to help people living with complex medical conditions, including Type 1 Diabetes, Addisons, POT’s and severe allergies. Dogs are trained to detect minute changes in the body, for example the blood sugar levels in someone living with brittle Type 1 Diabetes – they then alert the individual to a potential problem and even fetch the relevant medication. The dogs are a life-saving partner for someone with a life threatening medical condition. 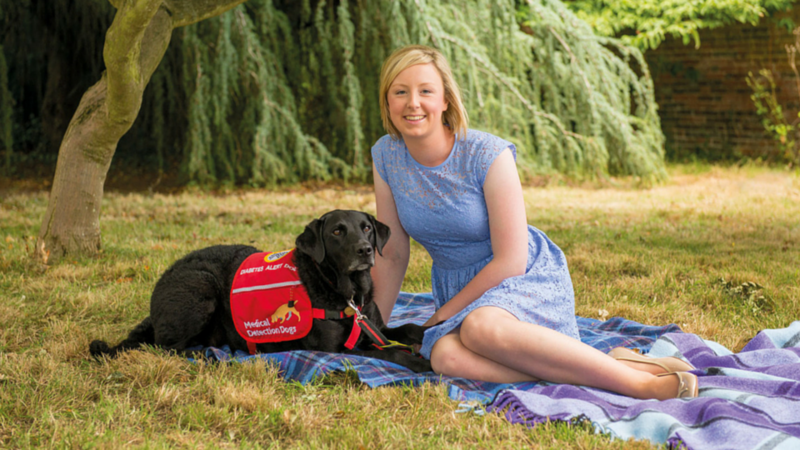 It costs almost £12,000 to train a Medical Alert Assistance Dog and the charity receives no government support or funding, relying solely on trust funding and the donations and hard work of its supporters and volunteers. You can donate to help the vital work the Medical Detection Dogs do through their website or every time you shop online with easyfundraising.